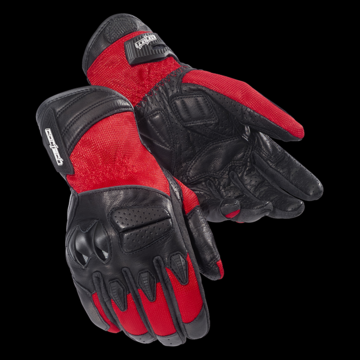 When temperatures rise the Armor-Link 3 mesh and perforated goatskin palm keep your hands cool and safe. • Comfortable, abrasion-resistant mesh and perforated goatskin backhand and fingers with soft, Clarino® fourchettes. • Durable, reinforced goatskin and perforated goatskin palm with foam padding to reduce shock and vibration. • Armor-Link 3 mesh and goatskin cuff with a secure hook and loop wrist closure. • Protective TPR knuckle and finger armor. • Articulated EVA foam knuckle padding. • Pre-Curved fingers and palm improves comfort, dexterity and helps to reduce hand fatigue.